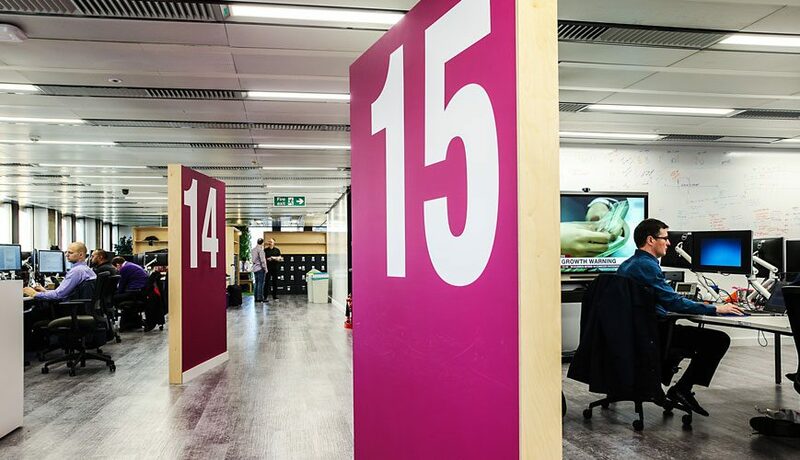 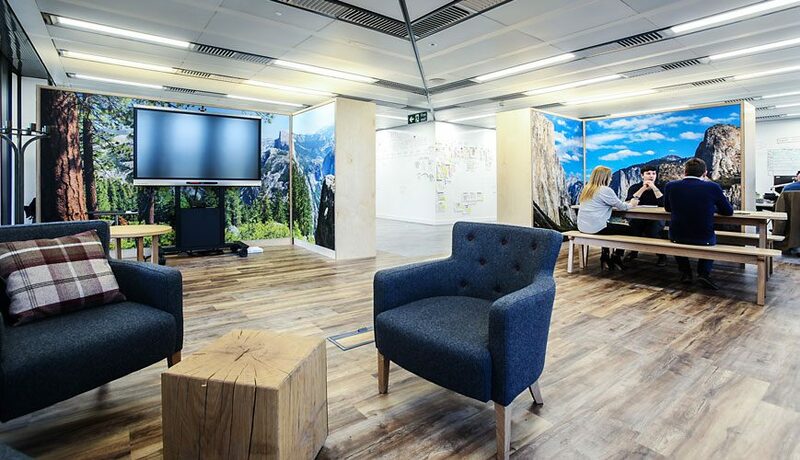 The new home of Royal Bank of Scotland’s Digital team that supports agile and collaborative working. 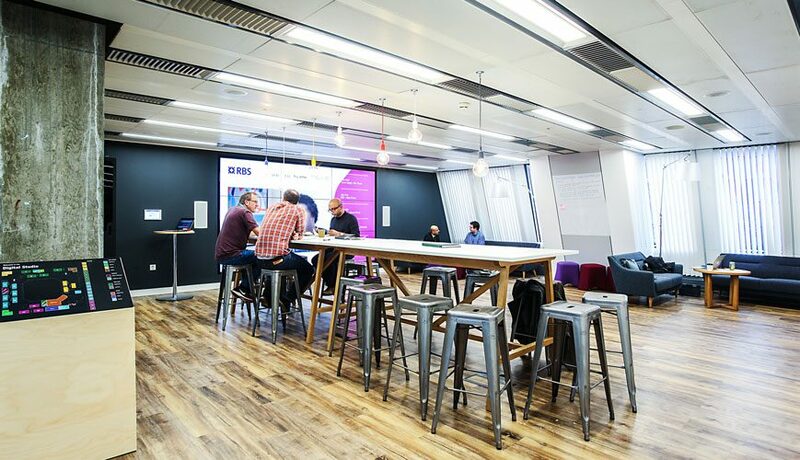 We have supported RBS in the design and delivery of a unique office environment in Islington to support agile and collaborative working for the RBS Digital team. 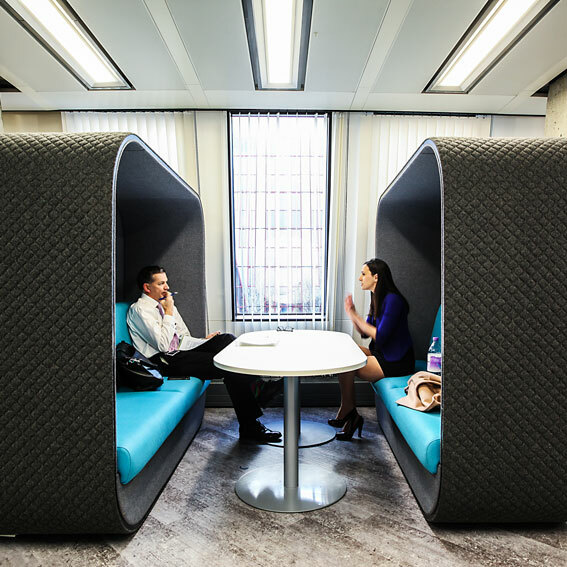 The Studio takes inspiration from tech’ start-ups and incubator office space trends to provide effective digital working, privacy and collaborative areas known as scrum team, club house and demo zones. 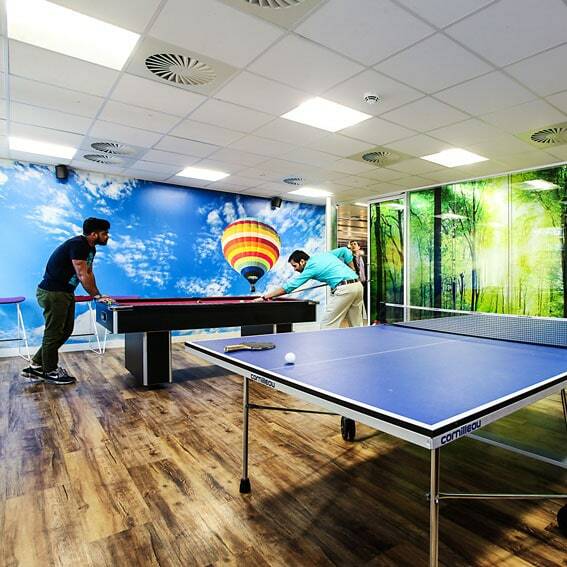 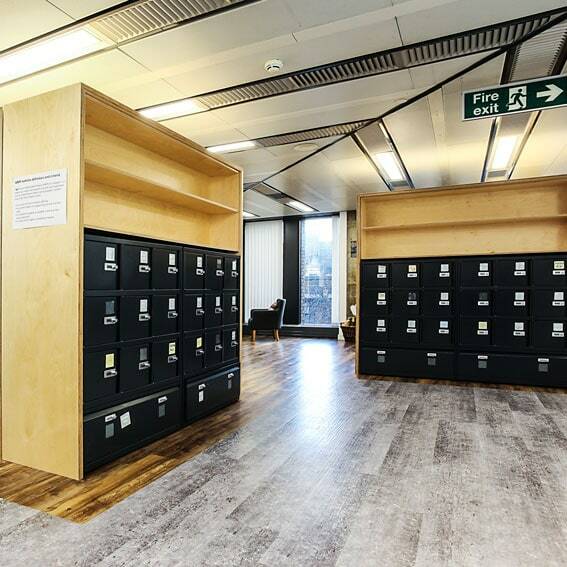 LOM worked closely with RBS and the contractor (Overbury) to ensure that disruption was kept to a minimum for the 1,000 plus staff occupying the rest of the building during the 22 week programme. 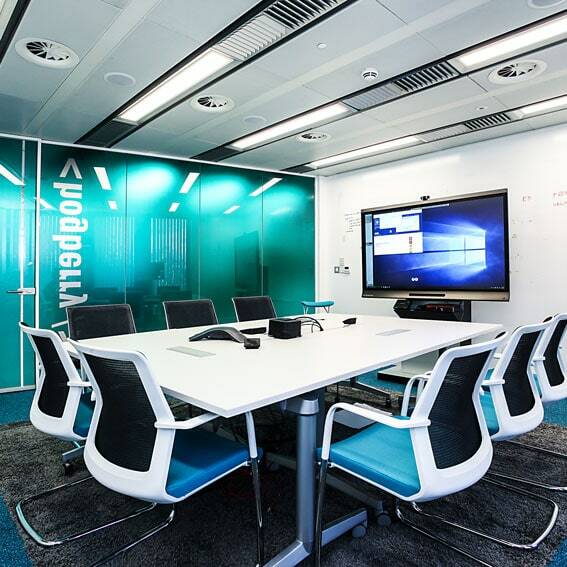 Throughout the feasibility and concept stages we worked to ensure a ‘light touch’ installation where possible, by providing prefabricated design solutions that ensured minimal impact on the existing building fabric and quick installation off site to minimise noise.